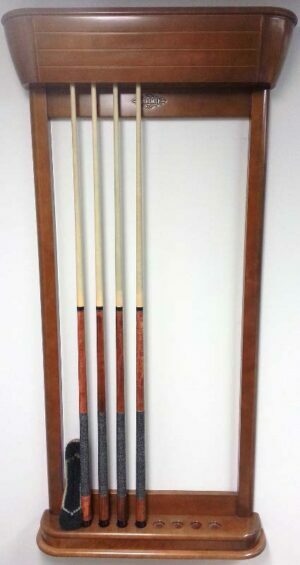 Decadent design meets pool cue storage utility with this beautiful Cromwell cue rack from Brunswick Billiards. 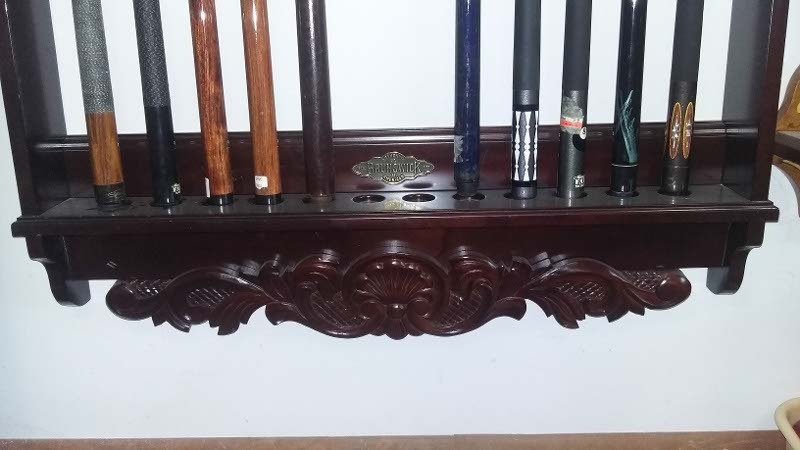 Gently used and ready for a new home, this solid mahogany masterpiece of cue rack construction can accommodate up to eight cues while resisting moisture and wear for years with its proprietary multi-step finishing process. 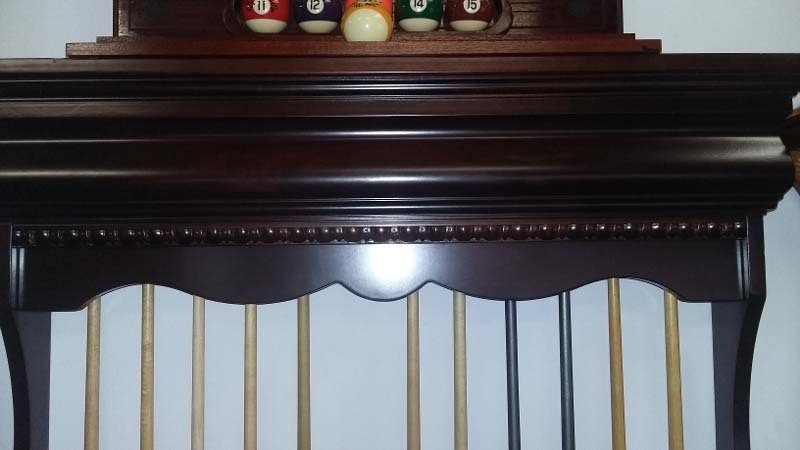 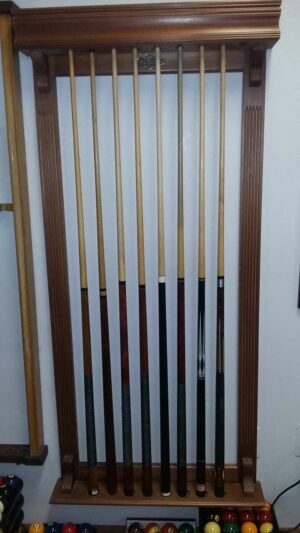 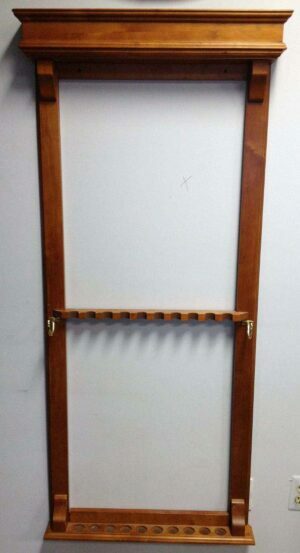 If you’re on the market for a new place to stash your cues, look no further than this gently used Cromwell cue rack. 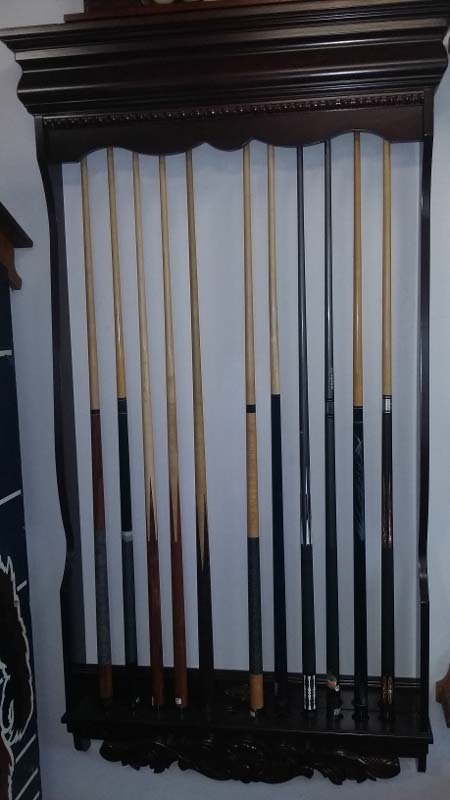 All the quality for a fraction of the price!